CGD 16th July 2014. Everything Sim. Written by Phil Webster. Posted by Kariem. 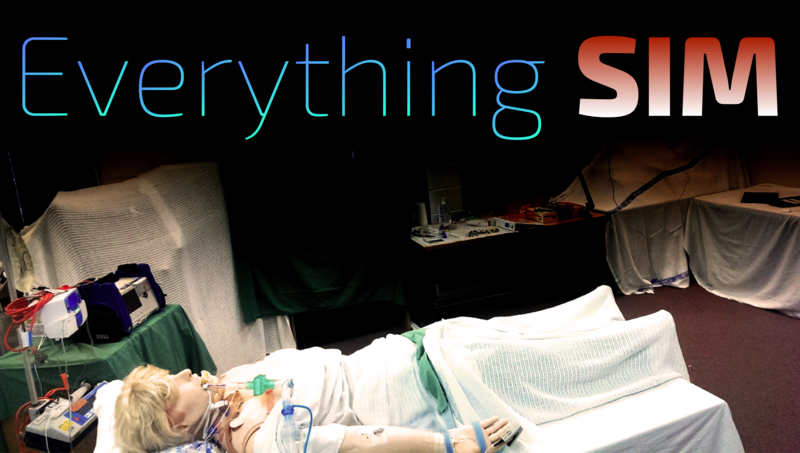 A decade ago simulation was a small part of the learning sphere but in the modern day of medical education it is now becoming commonplace and a somewhat essential part of training. With its embrace, particularly in the field of critical care, comes the evolution of the equipment, science and methodology. We had the good fortune of having the SiLECT team from Westmead starring Andrew Coggins and Mahesh together with GSA-HEMS’ own sim guru Clare Richmond, providing us with some pearls in how to run simulation and most importantly how to use the de-brief to learn and enquire. Here at GSA-HEMS ‘how we train is how we fight’ and simulation is part of our daily life. Often the medical interventions are sometimes the more straight forward aspects we deal with, we have standardised operating procedures for most of the situations we may face, but often the things that muddy-the-water are the human factors, situational awareness and the environments we work in. 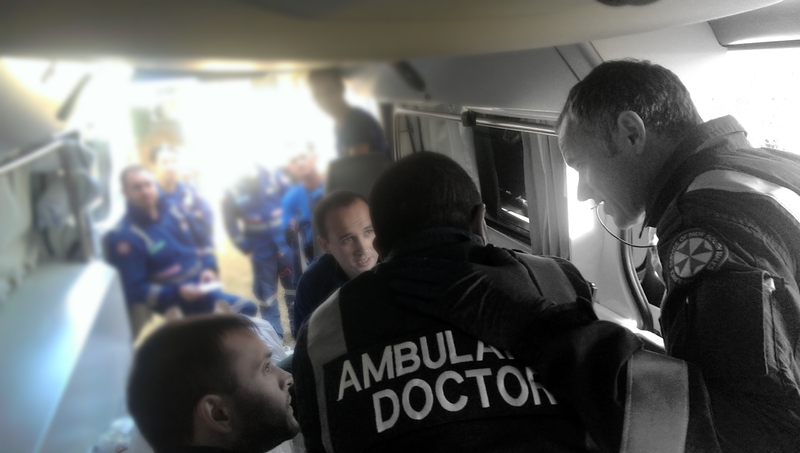 So what better way to learn, to create those austere situations and those difficult clinical situations, immerse, practice then debrief for the benefit of everyone. Then for 3 gritty SIMS….. Detailed clinical assessment helps identify things that may come and bite you – the right main stem intubation. 3. The head injury needing RSI A head injured patient who had to be intubated in the back of the ambulance. Simple…. BUT… → it’s raining hard, so no way of doing this outside → the registrar is on a ride along shift and has to watch the consultant show him how to intubate → but the tube doesn’t go in → the consultant puts his glasses on → it still doesn’t go in, and the consultant in task fixated and ignoring the desaturation. Not so simple now, is it? 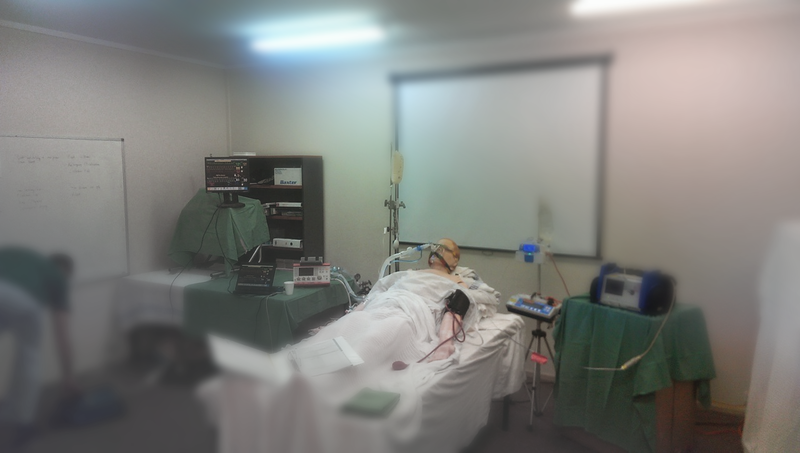 This entry was posted in General PH&RM, simulation and tagged airway, CGD, training. Bookmark the permalink.